K. Batrakov, P. Kuzhir, S. Maksimenko, A. Paddubskaya, S. Voronovich, Ph. Lambin, T. Kaplas, Yu. Svirko. Flexible transparent graphene/polymer multilayers for efficient electromagnetic field absorp-tion. Scientific Reports. Vol. 4, Article number: 7191, 2014, DOI: 10.1038/srep07191, Published 26 November 2014. V.A. Saroka, K. G. Batrakov, L. A. Chernozatonskii. Edge-modified zigzag-shaped graphene nanoribbons: Structure and electronic properties. Phys. Solid State. 2014. Vol. 56, C. 2135. R. Kotsilkova, E. Ivanov D. Bychanok, A. Paddubskaya, P. Kuzhir. EFFECT OF MATRIX VISCOS-ITY ON RHEOLOGICAL AND MICROWAVE PROPERTIES OF POLYMER NANOCOMPOSITES WITH MULTIWALL CARBON NANOTUBES. Journal of Theoretical and Applied Me-chanics. 2014. Vol. 44 , No. 2 . P. 83 – 96. V. Ksenevich, M. Shuba, A. Paddubskaya. Electrical transport and magnetoresistance in single-wall carbon nanotubes film. Materials Science. 2014. V. 20. P. 126-128. A. Mazzolari, E. Bagli, L. Bandiera, V. Guidi, H. Backe, W. Lauth, V. Tikhomirov, A. Berra, D. Lietti, M. Prest, E. Vallazza, and D. De Salvador. Steering of a sub-GeV electron beam through planar channeling enhanced by rechanneling / Phys. Rev. Lett. 2014. Vol. 112. N 13. 135503 [6 pages]. E. Bagli, L. Bandiera, V. Bellucci, E. Berra, R. Camattari, D.De Salvador, G. Germogli, V. Guidi, L. Lanzoni, D. Lietti, A.Mazzolari, M. Prest, V. V. Tikhomirov, and E. Vallazza. Experimental evidence of planar channeling in a periodically bent crystal. Eur. Phys. J. C (2014) 74:3114. Yu.N. Obukhov, A.J. Silenko, O. V. Teryaev. 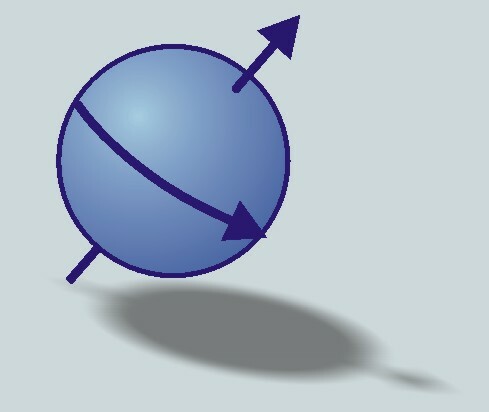 Dirac particle spin in strong gravitational fields. Phys. Part. Nucl. 2014. Vol. 45, Iss. 1. P. 234–236. A.J. Silenko, O. V. Teryaev. Spin effects and compactification. Phys. Rev. D. 2014. Vol. 89, Iss. 4. P. 041501(R)-1– 041501(R)-5. Silenko, A.J. High precision description and new properties of a spin-1 particle in a magnetic field. Phys. Rev. D. 2014. Vol. 89, Iss. 12. P. 121701(R) -1– 121701(R) -6. Y.N. Obukhov, A.J. Silenko, O.V. Teryaev. Spin-torsion coupling and gravitational moments of Dirac fermions: theory and ex-perimental bounds. Phys. Rev. D. 2014. Vol. 90, Iss. 12. Bogdanovich P.T., Komorny A.A., Tarnopolsky B.A. Explosive device for current switching.Archives of Metallurgy and Materials. Vol. 59, Is. 3, Pages 1115–1118, Warszawa, Poland ISSN (Online) 2300-1909, DOI: 10.2478/amm-2014-0194, October 2014. A P Nizovtsev, S Ya Kilin, A L Pushkarchuk, V A Pushkarchuk and F Jelezko Theoretical study of hyperfine interactions and optically detected magnetic resonance spectra by simulation of the C291[NV]-H172 diamond cluster hosting NV center.New Journal of Physics 2014.Vol. 16. P. 083014(1) - 083014(21). O.V. Voloshyna, I.A. Boiaryntseva, V.N. Baumer, A.I. Ivanov, M.V. Korjik, O.Ts. Sidletskiy, New, dense, and fast scintillators based on rare-earth tantalo-niobates. Nuclear Instruments and Methods in Physics Research Section A. Vol. 764. 2014. P.227-231. Dormenev V., Korjik M., Kuske T., Mechinski V., Novotny R.W., Comparison of Radiation Damage Effects in PWO Crystals Under 150 MeV and 24 GeV High Fluence Proton Irradiation. Nuclear Science, IEEE Transactions. Vol. 61. 2014. P.501-506. Auffray E., Fedorov A., Korjik M., Lucchini M., Mechinski V., Naumenko N., Voitovich A., Radiation Damage of Oxy-Orthosilicate Scintillation Crystals Under Gamma and High Energy Proton Irradiation. Nuclear Science, IEEE Transactions. Vol. 61. 2014. P.495-500. Lecoq P., Korzhik M., Vasiliev A., Can Transient Phenomena Help Improving Time Resolution in Scintillators? Nuclear Science, IEEE Transactions. Vol. 61. 2014. P.229-234. E. Auffray, O. Buganov, A. Fedorov, M. Korjik, V. Mechinsky, A. Tikhomirov, A. Vasil'ev, P. Lecoq, Picosecond transient absorption rise time for ultrafast tagging of the interaction of ionizing radiation with scintillating crystals in high energy physics experiments. Journal of Instrumentation. 2014. Vol. 7. P. 07017. E. Auffray, M. Korjik, T. Shalapska, S. Zazubovich, Photoluminescence and excited states dynamics in PbWO4:Pr3+ crystals. Journal of Luminescence. 2014. Vol. 154. P. 381-386. A.L. Kholmetskii, O.V. Missevitch, T. Yarman Pure bound field corrections to the atomic energy levels and the proton size puzzle. Canadian Journal of Physics, 92(4) 2014, 321-327. A.L. Kholmetskii, O.V. Missevitch, T. Yarman Comment on Correct interpretation of two experiments on the transverse Doppler shift by E. Zanchini. Physica Scripta. 2014. Vol.89. P. 067003. A.L. Kholmetskii, O.V. Missevitch, T. Yarman Conservative relativity principle: Logical ground and analysis of relevant experiments.European Physical Journal Plus. 2014. Vol. 129. P.102. A.L. Kholmetskii, O.V. Missevitch, T. Yarman Electric/magnetic dipole in an electromagnetic field: force, torque and energy.European Physical Journal Plus. 2014. Vol. 129. P. 215 . A.L. Kholmetskii, O.V. Missevitch, T. Yarman 4/3 problem, Poynting theorem and electromagnetic energy-momentum tensor.Canadian Journal of Physics. Published on the web 18 November 2014. L. Bandiera, A. Mazzolari, E. Bagli, A. Berra, D. Lietti, D. De Salvador, V. Guidi, M. Prest, V. Tikhomirov, E. Vallazza. Single and Multiple Volume Reflections of Ultra-Relativistic Electrons in a Bent Crystal as Tools for Intense Production of Electromagnetic Radiation. Journal of Physics. Conference Series. 2014. Vol. 517(1). 012043.